After two days of dressage, Clark Montgomery on Loughan is firmly in the lead with an impressive 33.6%. Michel Jung and FischerRocana sits in second place with 37.1%. Kim Severson and Cooley Cross Border are in third place with 41.0%. Perhaps stealing the show was the retirement ride by Allison Springer and Arthur. 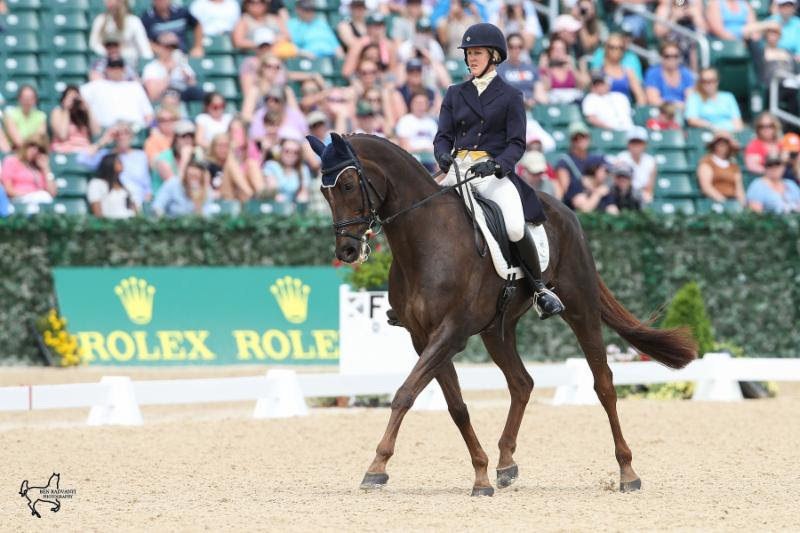 Sprenger chose to retire the 18 year old Irish Sport Horse gelding at what would have been his eighth start at Rolex. Arthur was recently diagnosed with aortic regurgitation — leakage from the aortic valve, which is a common degenerative problem in older horses. world together, and we have had many moments of triumph and some moments of heartbreak, but in every moment, he has been my partner and I have always been incredibly proud to get to ride him,” Allison said.